Semi-moist watercolors for brilliant colors and easy clean-up. Bigger paint pans provide more paint. 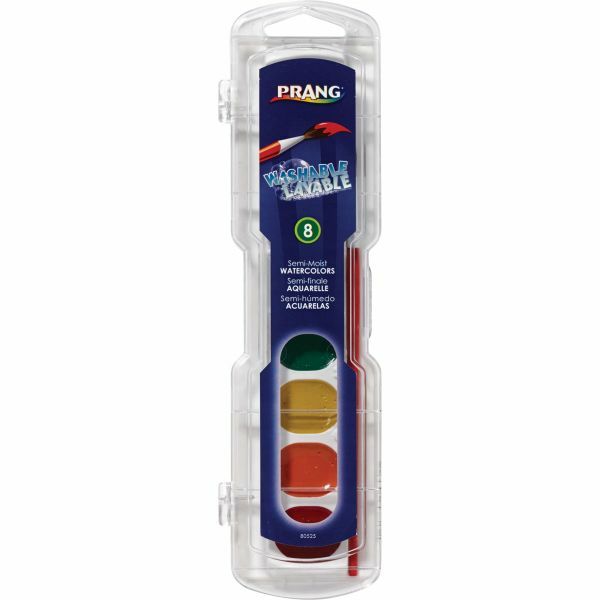 Prang Watercolors - Semi-Moist Washable Watercolors easily wash off clothes and skin with soap and water. 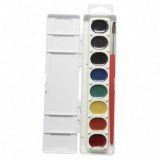 Watercolors deliver brilliant colors and intense pigments. 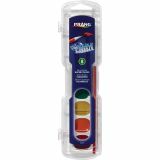 Eight-color set includes a natural hair paint brush with a solid wood, easy grip handle. Certified AP nontoxic paints conform to ASTM standards.